The snow forecast for Avoriaz is: Light rain (total 3.0mm), mostly falling on Fri night. Freeze-thaw conditions (max 4°C on Sat afternoon, min 0°C on Fri night). Wind will be generally light. Avoriaz Weather (Next 3 days): The snow forecast for Avoriaz is: Light rain (total 3.0mm), mostly falling on Fri night. Freeze-thaw conditions (max 4°C on Sat afternoon, min 0°C on Fri night). Wind will be generally light. Avoriaz Weather (Days 4-6): Light rain (total 5.0mm) at first, then becoming colder with a dusting of snow on Wed night. Freeze-thaw conditions (max 4°C on Mon afternoon, min 0°C on Wed night). Wind will be generally light. Light rain (total 5.0mm) at first, then becoming colder with a dusting of snow on Wed night. Freeze-thaw conditions (max 4°C on Mon afternoon, min 0°C on Wed night). Wind will be generally light. Light rain (total 3.0mm), mostly falling on Fri night. Freeze-thaw conditions (max 4°C on Sat afternoon, min 0°C on Fri night). Wind will be generally light. 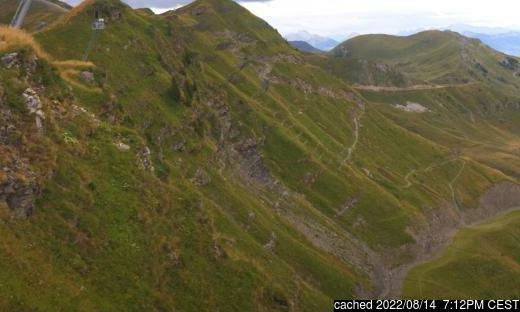 The above table gives the weather forecast for Avoriaz at the specific elevation of 2460 m. Our sophisticated weather models allow us to provide snow forecasts for the top, middle and bottom ski stations of Avoriaz. To access the weather forecasts for the other elevations, use the tab navigation above the table. For a wider view of the weather, check out the Weather Map of France. Spent 2 weeks at Avoriaz over Christmas/New Year (2014/2015) and Serma (who own/run the lift system) would not sell us a 2 week pass, but forced us to buy lift passes for 2d, 2d, 3d and then 7d. This cost our family 509 Euro more than their published 14d tariff and they refuse to refund the difference. Does not leave a good impression. 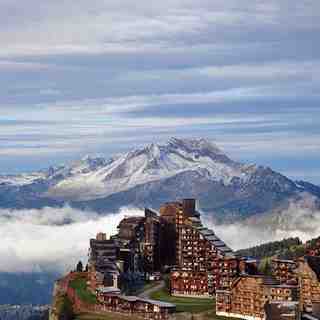 The Avoriaz skiing weather widget below is available to embed on external websites free of charge. It provides a daily summary of our Avoriaz snow forecast and current weather conditions. Simply go to the feed configuration page and follow the 3 simple steps to grab the custom html code snippet and paste it into your own site. You can choose the snow forecast elevation (summit, mid-mountain or bottom lift) and metric/imperial units for the snow forecast feed to suit your own website…. Click here to get the code.